Atkins, M.S., McKay, M.M. et al. Suspensions and detentions in an urban, low-income schools:Punishment or reward? Journal of Abnormal Child Psychology, 30, 361-371. Bernese programme against victimization in kindergarten and elementary school. In P.K. Smith, D. Pepler & K. Rigby (Eds.) Bullying in schools: How successful can interventions be? American Association of University Women. (2001). Hostile Hallways: Bullying, teasing and sexual harassment in school. Anastopoulos, A.D., Rhoads, L.H. & Farley, S.E. (2006). Counseling and training parents. In R.A. Barkley (Ed. ), Attention-deficit hyperactivity disorder. (3rd Ed.). (453-479). Measuring bullying with the “Life in School” checklist. Sheffield: Education Division Sheffield University. Asher, D.R., & Wheeler, V.A. (1988). Children’s loneliness: A comparison of rejected and neglected peer status. Journal of Consulting and Clinical Psychology, 33, 500-505. Batsche, G.M. (1997). Bullying. In G.C. Bear, K.M. Minke and A. Thomas (Eds.). Children’s Needs II: Development, problems and alternatives. (pp 171-179). Bullies and victims in schools: A guide to understanding and management. Philadelphia, PA: Taylor and Friends. Blechman, E.A. & Bopp, J.M. (2005). Handbook of youth mentoring. (pp. 454-466) Thousand Oaks: Sage Publications. Bohlin, K.E., Farmer, D., & Ryan, K. (2001). Building character in schools: Resource guide. Bonds, M. & Stoker, S. (2000). Bully-proofing your middle school: A comprehensive approach for Middle schools. Botvin, G. J., Mahalic, S. F., & Grotpeter, J. K. (1998). Life skills training (Book 5, Blueprints For Violence Prevention). Boulder: Center for the Study and Prevention of Violence, Institute of Behavioral Science,	University of Colorado at Boulder. Broder, J.M. (2004, February 15). Dismal California prison hold juvenile offenders. Christopherson, E. R., & Mortweet, S. L. (2001). Treatments that work with children: Empirically supported strategies for managing childhood problems. Christopherson, E. R., & Mortweet, S. L. (2003). Parenting that works: Building skills that last a lifetime. Steps to Respect: A special issue on bullying prevention programs. Safe School Ambassadors: Program Advisors Handbook. Conduct Prevention Research Group. (1992). A developmental and clinical model for the prevention of conduct disorders. The FAST Track program. Development and Psychopathology, 4, 509-527. Bystanding or standing by: Gender issues in coping with bullying in English schools. Cowie, H, & Sharp, S. ( 1992). Student themselves tackle the problem of bullying. Pastoral Care in Education, 10, 31-37. Cowie, H. & Sharp, S. (1996). Peer counselling in schools: A time to listen. Cowie, H., Smith, P.K., Boulton, M., & Laver, R. (1994). Cooperation in the multi-ethnic classroom. Cross, D., Hall, M., Hamilton, G., Pintabona, Y. & Erieg, E. (2004). Cambridge, UK:Cambridge University Press. (pp 187-209). COPE: Large group community-based family-centered parent training. In R.A. Barkley (Ed. ), Attention-deficit hyperactivity disorder. (3rd Ed.). (480- 498). Cunningham. C.E., & Cunningham, L.J. (2006). Student mediated conflict resolution programs. In R.A. Barkley (Ed. ), Attention-deficit hyperactivity disorder. (3rd Ed.). (590-607). Cunningham. C.E., Cunningham, L.J., and Martorelli, V. (2001). Coping with conflict at school: The Collaborative Student Mediation Project Manual. Hamilton, Ontario, Canada: CORE Works. Curwin, R. L., & Mendler, A. N. (1997). As tough as necessary: Countering violence, aggression, and hostility in our schools. Curwin, R. L., & Mendler, A. N. (1999). Dahlberg, L., Toal, S.B., Swahn, M., & Behrens, C. B. (2005). Measuring violence related attitudes, behaviors, and influences among youths: A compendium of assessment tools (2nd ed.). Atlanta,GA: Centers for Disease Control and Prevention, National Center for Injury Prevention and Control. Department of Education and Science (1993). Guidelines in countering and preventing bullying behavior in primary and post-primary schools. Annotation: Recent research examining the role of peer relationships in the development of psychopathology. Journal of child Psychology and Psychiatry, 42,565-579. Bullying relationships and combating bullying: Effectiveness of aschool-based social skills group intervention. Journal of Clinical Child and Adolescent Psychology, 33, 196-201. DeVoe, J. F., Peter, K., Kaufman, P., Ruddy, S.A., Miller, A.K., Planty, M.G., et al. (2002). Indicators of school crime and safety: 2002. Washington, DC: U.S. Department of Education, U.S. Department of Justice. Dishion, T.J., McCord, J., & Poulin, F.(1999). When interventions harm-Peer groups and problem behavior. The Student Risk Screening Scale. (SRSS) Grants Pass, OR: Josephina. Durlak, J.A. & Wells, A.M. (1997). Primary prevention mental health programs for children and adolescents: A meta-analytic review. American Journal of Community Psychology, 25, 115-152. Dwyer, K., Osher, D., & Warger, C. (1998). Early warning, timely response: A guide to safe schools. Eagly, A.H., & Steffen, V.J. (1986). Gender and aggressive behavior: A meta-analytic review of the Social psychological literature. Eber, I., Sugai, G., Smith, C. & Scott, T.M. (2002). Interpersonal and positive behavioral approach to clinical intervention and supports in the schools. Journal of Emotional and Behavioral Disorders,10,136-173. Eddy, J. M., Reid, J.B., & Fetrow, R.A. (2000). An elementary school-based prevention program targeting modifiable antecedents of youth delinquency and violence: Linking the Interests of Families and Teachers (LIFT). Journal of Emotional and Behavioral Disorders, 8, 165-176. Bullying: A practical guide to coping for schools. The Good Behavior Game: A best practice candidate as a universal behavioral vaccine. Clinical Child and Family Psychology Review, 5, 273-297. Epstein, L., Plog, A., & Porter, W. (2002). Bully proofing your school: Results of a four-year Intervention Emotional and Behavioral Disorders in Youth. Espelage, D. L., & Swearer, S. M. (Eds.). (2004). Bullying in American Schools: A social-ecological perspective on prevention and intervention. Parent and teacher behavior inventories for the assessment of conduct problembehaviors in children. In L. VandeCreek & S. Knapp (Eds. ), Innovations in clinical practice: A source book (Vol. 11, pp. 261-270). Sarasota, FL: Professional Resource Press/Professional Resource Exchange. Faber, A. & Mazlish, E. (1995). How to talk so kids can learn at home and at school. Feindler, E. L., & Ecton, R.B. (1986). Adolescent anger control: Cognitive-behavior techniques. Lane Cove, NSW: Finds Publishing. Fleishman, M., Horne, A.M., & Arthur, J. (1983). Forehand, R., & Long, N. (2002). Parenting the strong-willed child: The clinically proven five-week program for parents of two-to-six year olds (2nd ed.). Bullying prevention is crime prevention. Washington, DC: Fight Crime: Invest in Kids. Funk, J., Elliot, R., Bechtoldt, H., Pasold, T., & Tsavoussis, A. (2003). The Attitude Towards Violence Scale-Child Version. Journal of Interpersonal Violence, 18, 186-196. Galloway, D., Ball, T., Bloomfield, J. & Seyd R. (1982). Galloway, D. & Roland, E. (2004). Is the direct approach to reducing bullying always the best? In, P.K. Smith, D. Pepler & K. Rigby (Eds.) Bullying in schools: How successful can interventions be? Cambridge, UK: Cambridge University Press. (pp. 37-54). Garmston, R.J. & Wellman, B.M. (1999). Garrity, C., Baris, M., & Porter, W. (2000). Bully-proofing your child: A parent's guide. Garrity, C., Jens, K., Porter, W., Sager, N. & Short-Camilli, C. (2004). Bully-proofing your elementary school: Working with victims and bullies. Geffner, R.A., Loring, M. & Young, C. (2001). Goldstein, A. P., Glick, B., & Gibbs, J.C. (1998). Aggression Replacement Training: A comprehensive intervention for aggressive youth. Goldstein, A.P., & McGinnis, E. (2000). Skillstreaming the adolescent: New strategies and Perspectives for teaching prosocial skills. Goldstein, A.P., Sprafkin, R.P., Gershaw, N.J., & Klein, P. (1980). Skillstreaming the adolescent: A structured learning approach to teaching prosocial skills. Gottfredson, D.C., Gottfredson, G.D., & Skroban, S. (1998). Can prevention work where it is needed most? Greenberg, M.T., Kusche,C.A., & Mibalic, B. (1998). Promoting alternative thinking strategies (PATH; Book 10, Blueprints for Violence Prevention). Boulder: Center for the Study and Prevention of Violence, Institute of Behavioral Science, University of Colorado at Boulder. Greenberg, M.T., Weissberg, R. P., O'Brien, M.C.et al. (2003). Enhancing school based prevention and youth development through something, social emotional, and academic learning. Greenberg, M.T., Weissberg, R.P. et al. (2003). Enhancing school-based prevention and youth development through coordinated, social, emotional and academic learning. Hall, G.E. & Hord, S.M. (1987). Change in schools: Facilitating the process. Albany NY: State University of New York Press. Hall, R.V. & Hall, M.C. (1982). How to negotiate a behavioral contract. Prevention of bullying in German schools: An evaluation of an anti-bullying approach. Cambridge, UK: Cambridge University Press, (pp. 81-97). Challenge for the comprehensive school: Curriculum, culture and community. Hawkins, D.L., Pepler, D., & Craig, W. (2001). Peer interventions in playground bullying. Breaking the cycle of violence: Interventions for bullying and victimization. Hazler,R.J & Carney, J.V. (2006). What can we do about bullying? In S.R. Jimerson & M.J.
Farlong (Eds.) Handbook of school violence and school safety: From issue to practice. Hembree-Kigin, T.L. & McNeil, C.B. (1995). Henderson, N., & Milstein, M.M. (2003). Resiliency in schools: Making it happen for students andeducators. York, PA: The William Gladden Foundation. Horne, A.M., Bartolomucci, C.L., & Newman-Carlson, D. (2003). Bully busters: A teacher's manual for helping bullies, victims, and bystanders (grades K-5). Horne, A.M., Orpinas, P., Newman-Carlson, D. & Bartolomucci, C.L. (2004). Elementary school Bully Busters program: Understanding why children bully and what to do about it. In D.L. Espelage & S.M. Swearer (Eds.) Bullying in American schools: A social-ecological perspective and intervention (pp. 297-325). Horne, A.M., & Sayger, T.V. (1990). Treating conduct and oppositional defiance disorders in children. Hoover, J.H. & Oliver, R. (1996). Bloomington, IN: National Educational Service. Howard, K.A., Flora, J., & Griffin, M. (1999). Violence prevention programs in schools: State of the science and implications for the research. Applied and Preventive Psychology, 8, 197-215. Hudley, C. Brutch, B. et al. (1998). An attribution training program to reduce aggression in elementary school students. Psychology in the Schools, 35, 271-282. Enhancing social competence in young students. Children as Teachers of Peace. The handbook on school violence and school safety: From research to practice. Johnson, D.W. & Johnson, R.T. (1994). Learning together and alone: Cooperative, competitive and individualistic learning. 4th Ed. Boston: Allyn & Bacon. Johnson, N.G., Roberts, M.C. & Worell, J. (Eds.) (1999). Beyond appearance: A new look at adolescent girls. Kazdin, A., & Weisz, J.R. (2003). Evidence based psychotherapies for children and adolescents. Kelly, M.L., Reitman, D., & Noell, G.R. (2003). Practitioners guide to empirically-based measures of school behavior. New York: Kluwer Academic/Plenum Press. Creative conflict resolution: More than 200 activities for keeping peace in the classroom, K-6. New York: Scott, Foresman & Company. Ladd, G.W., Kochenderfer, B.J. & Coleman, C. (1996). Friendship quality as a predictor of young children’s early school adjustment. Think First: Addressing aggressive behavior in secondary schools. Larson, J. & Lochman, J.E. (2002). Helping school children cope with anger: A cognitive behavioral intervention. Leff, S.S., Power, T.J., Manz, P.T., Costigan, T.E., & Nabors, L.A., (2001). School-based aggression prevention programs for young children. Current status and implications for violence prevention. Lewis, T. J., Sugai, G., & Colvin, G., (1998). Reducing problem behavior through a school – wide system of effective behavioral support: Investigation of a school-wide social skills training program and contextual interventions. School Psychology Review, 27, 446-459. Educating for character: How our schools can teach respect and responsibility. Implementation of the Olweus Bullying Prevention program in American schools: Lessons learned from the field. In D.L. Espelage and S.M. Swearer (Eds.). Mahwah, NJ: Erlbaum (pp. 351-363). schools: A social-ecological perspective on prevention and intervention (pp. 351-363). Limber, S.P., Nation, M., Tracy, et al. (2004). 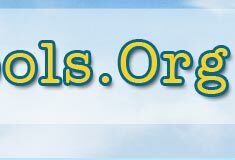 Implementation of the Olweus Bullying Prevention program in Southwestern United States. In, P.K. Smith, D. Pepler & K.
Rigby (Eds.) Bullying in schools: How successful can interventions be? Limber, S.P., & Small, M.A. (2003). State laws and policies to address bullying in schools. School Psychology Review, 32, 445-455. Bullying and Teasing: Social power in children’s groups. Mahelavi, J. & Smith, P.K. (2002). The operation of a bully court and perceptions of its success. A case study. School Psychology International, 23, 327-341. What to do...When kids are mean to your child. McGinnis, E. & Goldstein, A.P. (2003). Skillstreaming in early childhood: New strategies and Perspectives for teaching prosocial skills. Motivating students who don't care: Successful techniques for educators. Mendler, A.N., & Curwin, R.L. (1999). Discipline with dignity for the challenging youth. Menesini, E., Codecasa, E., Benelli, B. & Cowie, H. (2003). Enhancing children’s responsibility to take action against bullying: Establishing of a befriending intervention in Italian middle schools. Meyer, A.L., Allison, K.W., Reese, L.R., Gay, L.R.E., Gay, F.N., & Multisite Violence Prevention Project. (2004). Choosing to be violence free in middle school. The student component of the GREAT schools and families universal program. American Journal of Preventive Medicine, 26, 20-28. Meyer, A.L., Farrell, A.D., Northup, W., Kung, E., & Plybon, L. (2000). Promoting non-violence in early adolescence: Responding in peaceful and positive ways. Morrison, G.M., Peterson, R., O’Farrell, S. & Redding, M. (2003). Using office referral records in school violence research: Possibilities and limitations. Santa Barbara, CA: Graduate School Education. Multisite Violence Prevention Project. (2004). Lessons learned in the Multisite Violence Prevention Project Collaboration-Big questions require large efforts. American Journal of Preventive Medicine, 26, 62-71. Solution-focused counseling in middle and high schools. Nansel, T.R., Overpeck, M. et al. (2001). Bullying behaviors among U.S. youth: Prevalence and association with psychosocial adjustment. Journal of the American Medical Association, 285, 2094-2100. Naylor, P. & Cowie, H. (1999). The perspectives and experiences of teachers and pupils. Journal of Adolescence. 22, 467-479. Nelson, W.M., Finch, A.J. (2000). Children’s Inventory of Anger (CHIA). Manual. Los Angeles, CA: Western Psychological Service. Nelsen, J., Lott, L. & Glenn, H.S. (2000). Positive discipline in the classroom: Developing mutual respect, cooperation, and responsibility in your classroom (3rd ed.). Newman, D.A., Horne, A.M. (2004). Bully Busters: A psychoeducational intervention for reducing bullying behavior in middle school students. Journal of Counseling and Development, 82, 259-268. Newman, D.A., Horne, A.M., & Bartolomucci, C.L. (2000). Bully Busters: A teacher's manual for helping bullies, victims and bystanders. Oliver, R.L., Young, T.A. & LaSalle, S.M. (1994). Bullying and victimization: The help and hindrance of children's literature. The School Counselor, 42, 137-146. Annotation: Bullying at school: Basic facts and effects of a school-based intervention program. Journal of Child Psychology and Psychiatry, 35, 1171-1190. The Revised Olweus Bully/Victim Questionnaire. Bergen, Norway: Research Center for Health Promotion. The Olweus Bullying Prevention Program: Design and implementation issues and a new national initiative in Norway. Cambridge, UK: Cambridge University Press, (pp. 13-36). Olweus, D. & Limber, S. (2002). Bullying prevention program (Book 9). Boulder University of Colorado at Boulder, Center for the Study and Prevention of Violence, Institute of Behavioral Science. Irish Journal of Psychology. Vol. 18, No. 2. O'Neill, R.E., Hoover, R.H. et al. (1997). Functional assessment and program development for problem behavior: A practical handbook. (2nd ed.). Orpinas, P. & Frankowski, R. (2001). The Aggression Scale: A self-report measure of aggressive behavior for young adolescents. Journal of Early Adolescence, 21, 51-68. Orpinas, P., Horne, A.M. (2006). Bullying prevention: Creating a positive school climate and developing social competence. Orpinas, P. Horne, A.M. & Multisite Violence Prevention Project. (2004). 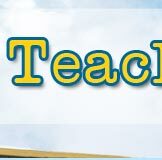 A teacher-focused approach to prevent and reduce students' aggressive behavior-The GREAT Teacher Program. American Journal of Preventive Medicine, 26, 29-38. Orpinas, P. Kelder, S., Frankowski, R., Murray, N., Zhang, Q., & McAlister, A. (2000). The Students for Peace project. Health Education Research, 15, 45-58. Owens, L., Shute, R., & Slee, P. (2000). “Guess what I just heard!” Indirect aggression among teenage girls in Australia. A social learning approach: Volume 3. Coercive family process. Observing children in their natural worlds: A methodological primer. Bullies and victims in school: A review and call for research. Journal of Applied Developmental Psychology, 19, 165-176. Bullying Interventions: A binocular perspective. Journal of the Canadian Academy of Child and Adolescent Psychiatry, 15, 16-20. Pepler, D. J., Craig, W.M. (1995). A peak behind the fence: Naturalistic observations of aggressive children with remote audiovisual recordings. Pepler, P.J., Craig, W.M., O’Connell, P., Atlas, R., & Charach, A. (2004). Making a difference in bullying: Evaluation of a systematic school-based program in Canada. Cambridge, UK: Cambridge University Press, (pp. 125-139). Pepler, P.J., Craig, W.M., Ziegler, S. & Charach, A. (1994). An evaluation of an anti-bullying intervention in Toronto schools. Canadian Journal of Community Mental Health, 13, 95-110. Pepler, D.J., Madsen, K.C, Levene, K.S. (Ed) (2001). The development and treatment of girlhood aggression. Pepler, D., Smith, P.K., & Rigby, K. (2004). Looking back and looking forward: Indications for making interventions work effectively. Cambridge, UK: Cambridge University Press (pp. 307-324). Peterson, R.L., Larson, J. & Skiba, L. (2001). School prevention: Current status and policy recommendations. Law and Policy, 23, 245-372. All about ADHD: The complete practical guide for classroom teachers. Pfiffner, L., Barkley, R.A., & DuPaul, G.J. (2006). Treatment of ADHD in school settings. In R.A. Barkley (Ed. ), Attention-deficit hyperactivity disorder. (3rd Ed.). (547-589). Enhancing relationships between children and teachers. The common concern method for the treatment of mobbing. In D.A. Love (Ed. ), Bullying: An international perspective. Bullying : An international perspective. London: David Fulton, pp. 91-104. A pure concept of mobbing gives the best results for treatment. School Psychology International, 10, 95-104. New developments of the shared concern method. School Psychology International, 28, 07-326. Porche-Burke, L. & Fulton, C. (1992). The impact of gang violence: Strategies for prevention and intervention. What students say to themselves: Internal dialogue and school success. Thousand Oaks, CA : Corwin Press. Family solutions for youth at risk: Applications to juvenile delinquency, truancy, and behavior problems. Reid, J.B., Patterson, G.R., & Snyder, J. (2002). Antisocial behavior in children and adolescents: A developmental analysis and model for intervention. Reynolds, C. R. & Kamphaus, R.W. (1992). BASC- Behavioral Assessment System for Children: Manual. Circle Pines, MN : American Guidance Service. Attitudes and beliefs about bullying among school children. Irish Journal of Psychology. 18, 202-220. Rigby, K., & Slee, P.T. (1995). The Peer Relations Questionnaire (PRQ). Point Lonsdale, Australia. The Professional Reading Guide. Rigby, K., Smith, P.K. & Pepler, D. (2004). Cambridge, UK: Cambridge University Press, (pp. 1-12). Robinson, B. & Mainis, G. (1997). Crying for help: The no blame approach to bullying. Rodkin, P.C., Hodges, E.V. (2003). Bullies and victims in the peer ecology: Four questions for psychologists and school professionals. School Psychology Review, 32, 384-400. Childhood bullying, teasing, and violence: What school personnel, and other professionals and parents can do (2nd ed.). Alexandria VA: American Counseling Association. Childhood bullying and teasing and violence. What school personnel, other professionals and parents can do. An integrated approach to character education. Sabella, R.A., & Myrick, R.D. (1995). Confronting sexual harassment: Learning activities for teens. Minneapolis, MN: Educational Media Corporation. Participant role approach to school bullying: Implications and intervention. Journal of Adolescence, 22, 453-459. Salmivalli, C., Kaukiainen, A., Voeten, M. & Sinisammal, M. (2004). Targeting the group as a whole: The Finnish anti-bullying intervention. In P.K. Smith, D. Pepler & K.
Cambridge, UK: Cambridge University Press (pp. 251-273). Sanchez, E. Robertson, T.R., et al. (2001). Preventing bullying and sexual harassment in elementary schools: The Expect Respect model. Journal of Emotional Abuse, 2, 157-180. Scales, P. & Leffert, N. (1999). Schneider, M. & Robin, A. (1997). Seligman, M.E.P., Reivich, K., Jaycox, L.,& Gillham, J. (1995). The optimistic child: A proven program to safeguard children against depression and build lifelong resiliency. Senge, P. Cambran-McCabe, N.H. et al. (2000). 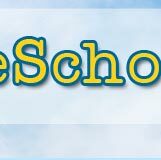 Schools that learn: A fifth discipline field for educators, parents and everyone who cares about education. Sessions, P., Fanolis, V., Corwin, M. & Miller, J. (2003). Partners for success: A collaborative approach. Community and school interventions for social workers and counselors (pp. 241-254). Severson, H. & Walker, H. (2002). Proactive approaches for identifying children at risk for sociobehavioral problems. In Kilare, F.M. Gresham, & T.O. Shaughnessy (Eds. ), Interventions for children with or at-risk for emotional and behavioral disorders. (pp. 33-53). Sharp, S., Cowe, H. & Smith, P.K. (1994). Working directly with pupils involved in bullying situations. In P.K. Smith and S. Sharp (Eds. ), School bullying : Insights and perspectives. Sharp, A. & Smith. P.K. (1994). Tackling bullying in your school: A practical handbook for teachers. Shaw, D.S., & Winslow, E.B. (1997). Precursors and correlates of antisocial behavior from infancy to preschool. In D.M. Stoff, J. Breling, & J.D. Maser (Eds.). Handbook of antisocial behavior. (pp. 148-158). New York: Wiley. Beyond horseplay: Students sue schools over sexual harassment. I can problem solve: An interpersonal cognitive problem-solving program. When your child is difficult: Solve your toughest child-raising problems with a four step plan that works. Zero tolerance: zero evidence: An analysis of school disciplinary practice. Bloomington: Indiana Education Review Policy Center. Skiba, R. & Peterson, R. (1999, January). Slaby, R.G., Wilson-Brewer, R., & Dash, K. (1994). Aggressors, victims and bystanders: Thinking and acting to prevent violence. Newton, MA: Education Development Center. Smith, D.C., Furlong, M., Bates, M. & Laughlin, J.D. (1998). The development of the Multidimensional school anger inventory for males. Psychology in the Schools, 35, 1-15. Smith, D.C., Larson, J.D., DeBaryshe, B.D. & Salzman, M. (2000). Violence in American schools: A practical guide for counselors. Reston, VA: American Counseling Association. Smith, P.K., Madsen, K.C., & Moody, J.C. (1999). What causes the age decline in reports of being bullied at school? Trends in development analysis of risks of being bullied. Smith, P.K., & Sharpe, S. (Eds.) (1994). Smith, P.K., Sharp, S., Eslea, M & Thompson, D. (2004). Cambridge, UK: Cambridge University Press, (pp. 99-123). Snell, J.L., McKenzie, E.P. & Frey, K.S. (2002). Bullying prevention in elementary schools: The importance of adult leadership, peer group support, and student social-emotional skills. Shinn, H.M. Walker 4 G. Stoner (Eds). Interventions for academics and behavior problems II: Prevention and premethod approach. (pp 351-372). Bethesda, MD: National Association for School Psychologists. Social Competence with Peers Questionnaire. Sprague, J.R. & Walker, H.M. (2005). 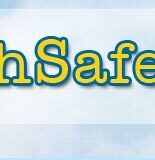 Safe and healthy schools: Practical preventive strategies. Sprague, J.R., Walker, H.M., Nishiaka, V. & Smith, S.G.C. ( 2005). School safety and prevention strategies. Proven and practical solutions for educators. Stein, N., Gaberman, E., & Sjostrom, L. (1996). Bullyproof: A teacher's guide on teasing and bullying for use with fifth grade students. Wellesley, MA:Wellesley College Center for Research on Women. Stein, P. P., Richin, R.A. et al, (2000). Connecting character to content: Helping students do the right thing. Alexandria, VA: Association for Curriculum Development. Stein, N. & Sjostrom, R. (1996). Bullyproof. A teacher’s guide on teasing and bullying for use with fourth and fifth grade students. Wellesley, MA; Wellesley , MA; Wellesley College Centre for Resure a Women and National Education Professional Library. Stevens, V., Van Oost, P. & De Bourdieudhuif, I. (2001). Interventions against bullying in Flemish schools: Programme development and evaluation. In P.K. Smith, D. Pepler & K.
Auckland, New Zealand: Oxford University Press. A whole-school response: From crisis management to prevention. Irish Journal of Psychology, 18, 221-232. Thompson, D.A., Arora, T. & Sharp. S. (2002). Bullying-Effective strategies for long term improvement. Thompson, N.J. & McClintock, H.V. (2000). Demonstrating your program's worth: A primer on evaluation for programs to prevent unintentional injury. Atlanta, GA : Center for Disease Control and Prevention, National Center for Injury Prevention and Control . Twemlow, S.W., Fonagy, P., Sacco, F.C., Gies, M.L. Evans, R., & Ewbank, R. (2001). Creating a peaceful school learning environment: A controlled study of an elementary school intervention to reduce violence. American Journal of Psychiatry, 158, 808-810. U.S. Department of Education (1998). Bullying: Changing the course of your child's life. Vossekuil, B. Fein, R., Reddy, M. Borum, R. & Modzeleski, W. (2002). Walker, H.M., Colvin, G. & Ramsey, E. (1995). Antisocial behavior in school: Theories and best practices. Walker, H.H., Hops, H. & Greenwood, C. (1993). RECESS: A program for reducing negative aggressive behavior. Walker, H.M., Ramsey, E. & Gresham, F.M. (2004). (2nd Ed.). Antisocial behavior in school: Evidence-based practices. Walker, H.M., & Severson, H.H. (1990). System Screening for Behavior Disorders (SSBD) : User’s guide and training manual. Walsh. M.M., Peppler, D.J. & Levene, K.S. A model intervention for girls with disruptive behavior problems:The Earlscourt Connection. Canadian Journal of Counseling, 36, 297-310. Watson, T.S. & Steege, M.W. (2003). Conducting school-based functional assessments: A practitioner's guide. Why is everybody always picking on me: A guide to handling bullies. Webster-Stratton, C., Reid, J., & Hammond, M. (2001). Psychology and Psychiatry, 42, 943-952. Weltman, R., & Center for the Applied Research in Education. (1996). lessons and activities for grades 7-12. New York: Society for Prevention of Violence. Whitney, I. & Smith, P.K. (1993). A survey of bullying. Education Research, 35, 3-25. The cycle of violence. Science, 244, 160-166. Williams, K. Chamgers, M., Logan, S. & Robinson, D. (1996). symptoms with bullying in primary school children. British Medical Journal, 313, 17-19. Wilson, D.B., Gottfredson, D.C., & Najaka, S.S. (2001). A meta-analysis. Journal of Quantitative Criminology. 17, 247-272. Teaching teens with ADD and ADHD: A quick reference guide for teachers and parents.